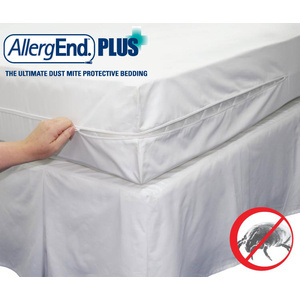 AllergEnd Plus is the market leading, 100% cotton, dust mite resistant, bedding covers designed for sufferers of dust mite allergy. 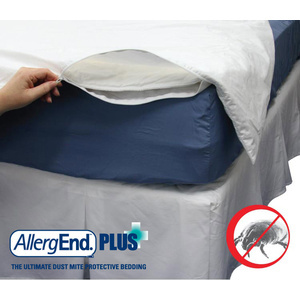 These are the most comfortable, highest performance (3.7um) cotton dust mite covers available. 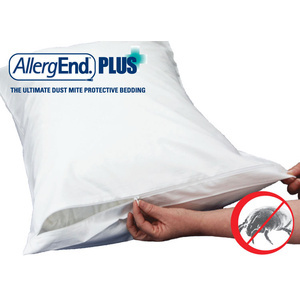 Sheets designed especially for people with eczema and night sweats. DermaSheets® is a specially engineered fabric made with micro-channel fibres that are designed to keep eczema, acne, night sweat and bed sore sufferers cool, dry and free of infections. Also great for aiding healing skin after laser cosmetic procedures.